Receive enchanting compliments as you flaunt this Fiona Bead Necklace. 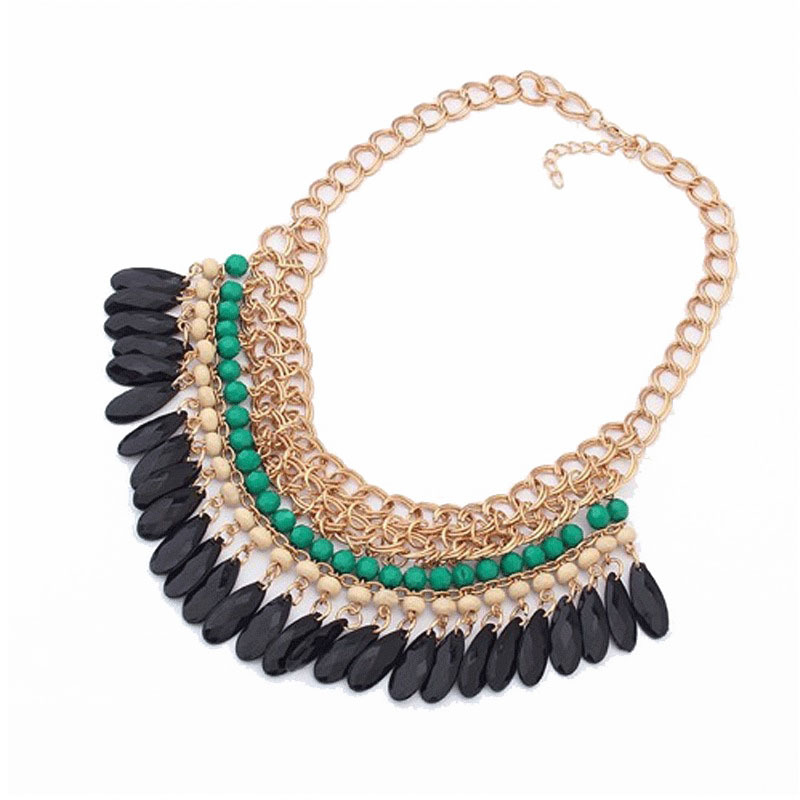 Fashioned with green, cream-coloured and black beads, it is secured with lobster-clasp fastening. Accessorize multiple outfits when you shop for jewellery online with us.